Monkeys, Mountain views, and the power of Imperial. Manuel Antonio is THE place to be in Costa Rica. I got to experience a variety of terrains and natural settings for under $300 a day (that’s airfare and hotel included babes!) Manuel Antonio is often low on the list of destinations to experience against Hermosa Beach and Arenal area, but I’m telling you this is the place to be, especially if you’re ballin’ on a budget. Now I’m sure you knew I was going to have to talk about this one right off the bat. 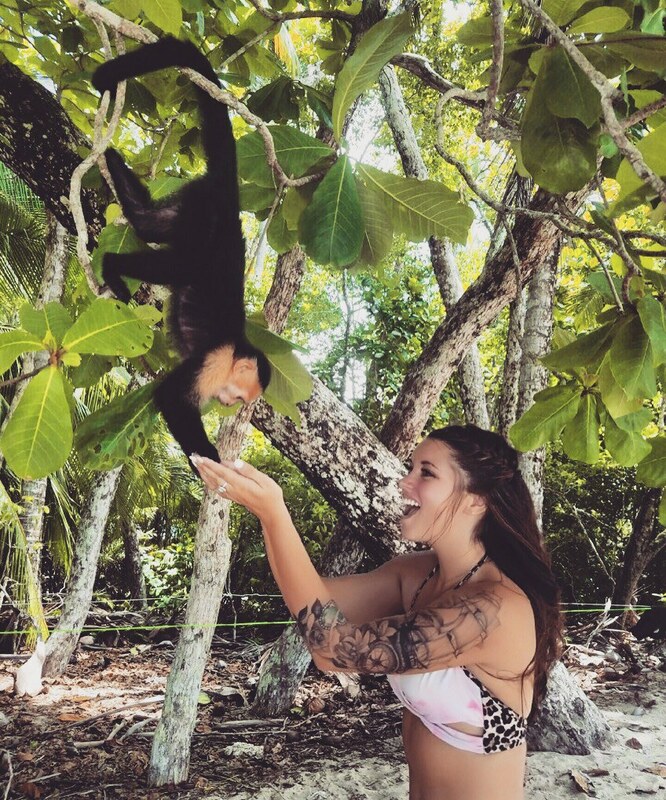 In Manuel Antonio area, you will without a doubt, see hundreds of monkeys. For me, seeing them in their natural habitat was so incredibly breathtaking and I couldn’t get enough of spotting them ruffle throughout the tree tops and jumping from palm to palm all week long. My hotel room was more of a villa set in the rainforest and monkeys would hang out on my back porch every morning and just about everywhere you went you could hear them cooing in the canopy. Talk about an authentic feel. Hiking is not my thing. I’m not a professional hiker, I don’t have any equipment and I sure as hell don’t have much knowledge on properly hiking in other countries and terrains. Yet, hiking in Manuel Antonio became my favorite thing I was able to do my entire time there. The park is somewhat laid out to aid you in hiking trails and to guide your way, but what I oddly liked about the park was the lack of signs. You got to explore on your own time and try to navigate yourself to, well, kind of nowhere, and experience everything you stumbled upon along the way. Deep inside the park are wooden staircases that allow you to climb high up in the understory of the rainforest and wander through the different layers of foliage spotting animals through foggy conditions (while you sweat your booty off of course). 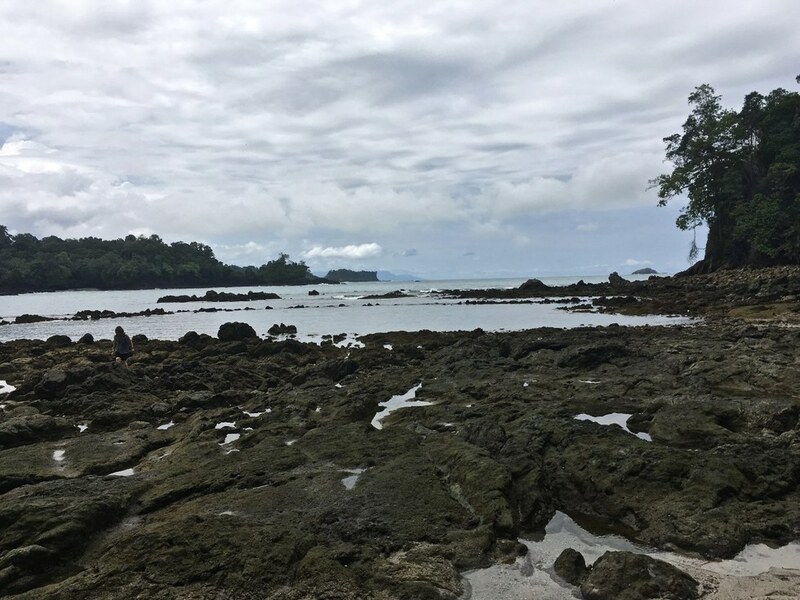 At the end, once you find your end of your rainforest trek, it almost always leads to a small path that opens up to a beautiful beach, so wear that bathing suit under your outfit, you’re gonna want it! 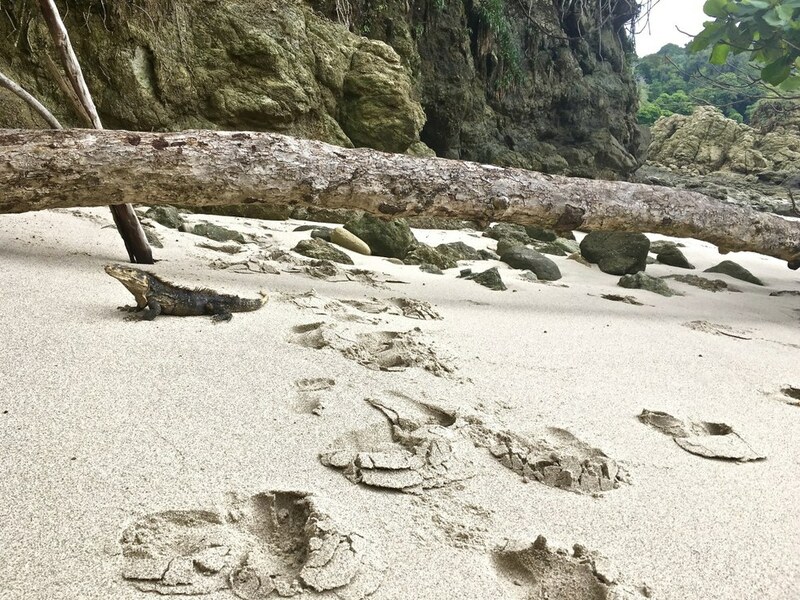 There are a few options for beaches in Manuel Antonio, and let me tell you, none of them will disappoint. 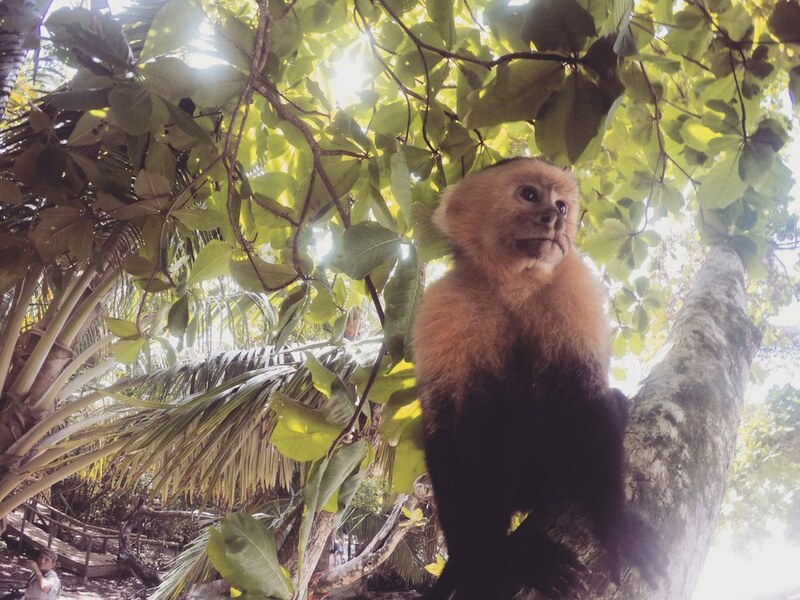 The beaches inside the Manuel Antonio National Park are pretty calm most times and have the perfect vibe for hanging out on a towel on a piece of drift wood and just taking in your surroundings (be warned: the monkeys and raccoons will totally go through your bag). These beaches also have lots of hiking options on beach rocks that leave for the most picturesque scapes to take in. Outside of the park, the water is a little more conducive to, drum roll please, the famous Costa Rica surf. You can rent a surf board for less than 10 bucks and more times than not the instructor will offer to take you out and help you learn how to catch the surf even for complete beginners for another whopping 10 dollars. Not coordinated enough to surf? Grab a paddleboard and still get to experience the power of being out on that dazzling water, you’ll thank me later. 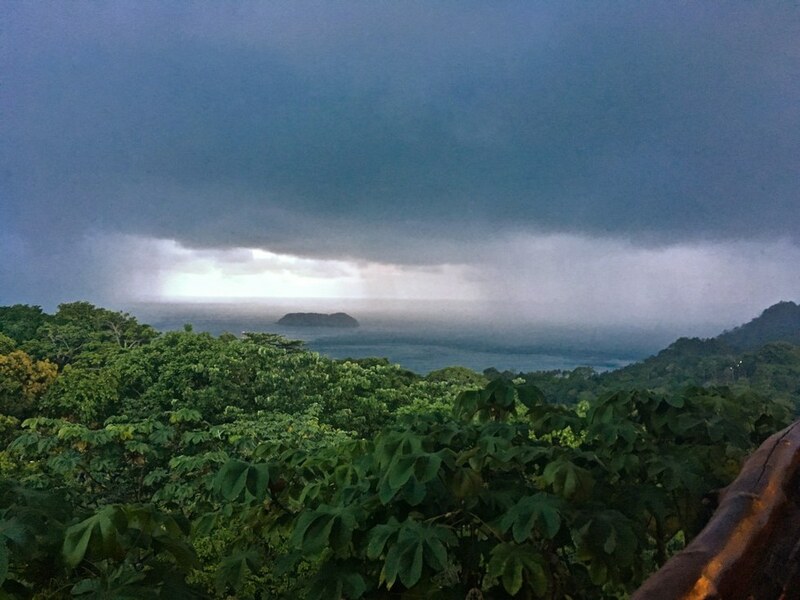 Every walk, pool session, dinner, drink, and adventure in Manuel Antonio is accompanied by amazing mountain views. The terrain is very escalated and when you start spending more time walking around the area you start to realize how steep the inclines are just about everywhere you go. You will be surrounded by lush rainforests, sandy beaches, quaint buildings, and art. Pay special attention to detail and you won’t be disappointed in their simplicity. Almost everything is set near or on a perfect-picture landscape and let me tell you, it’s simply satisfactory for your love of nature. Every picture you take will be one a masterpiece just due to your backdrop of rainforest tops. 5. Lions, Tigers and Gila Monsters…? I am and always have been an animal lover, making this area especially exciting for me as it is so rich in wildlife. Although it wasn’t quite lions, tigers and bears, I was, on two occasions able to spot sloths lounging in the forest, which was and I think is, just about everyone’s goal in Costa Rica. You will have the opportunity to see hundreds of huge crocodiles (and you really will), giant Gila monsters scattered along the beaches (just keep one eye open when you’re lounging at the beach, take my word on that,) toucans, and of course hundreds of other exotic breeds I wasn’t even sure of what they were! Having the opportunity to see so many unusual animals really grows your appreciation for the space and make you one with the nature you’re all of a sudden a part of. 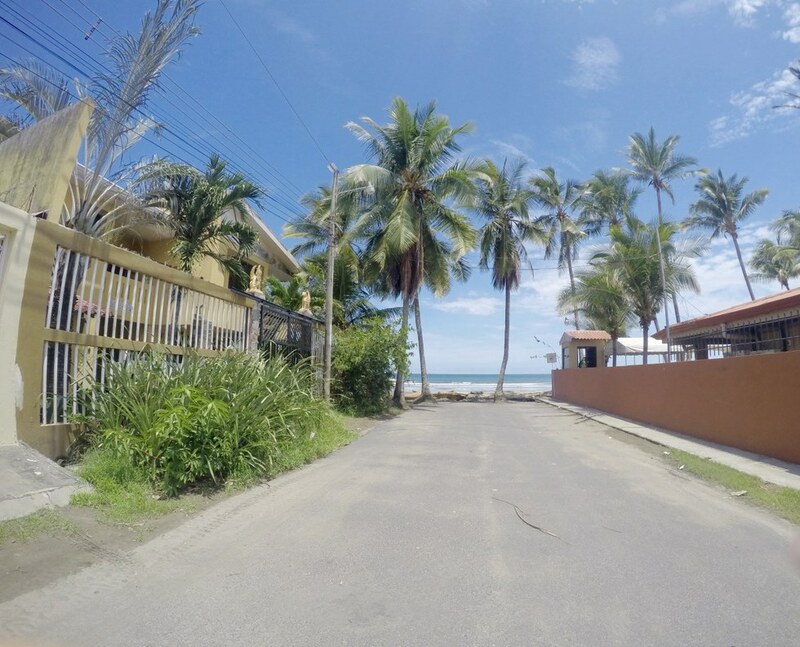 I could’ve spent every single day exploring Manuel Antonio Park, however for the traveler that needs to switch it up, or even for just a change of pace, a $5 2-hour bus ride will land you right in the city center of Jaco Beach. This is a highly populated, pretty touristy area, however, it is for a good reason for the beaches are truly amazing. There’s the main strip hosting countless tiny souvenir shops, restaurants, and artist halls, which won’t really be found in Manuel Antonio if you’re looking for that sort of shopping day. But for me, the impact that Jaco left was its wide soft sanded beaches with a surf that is incredible. 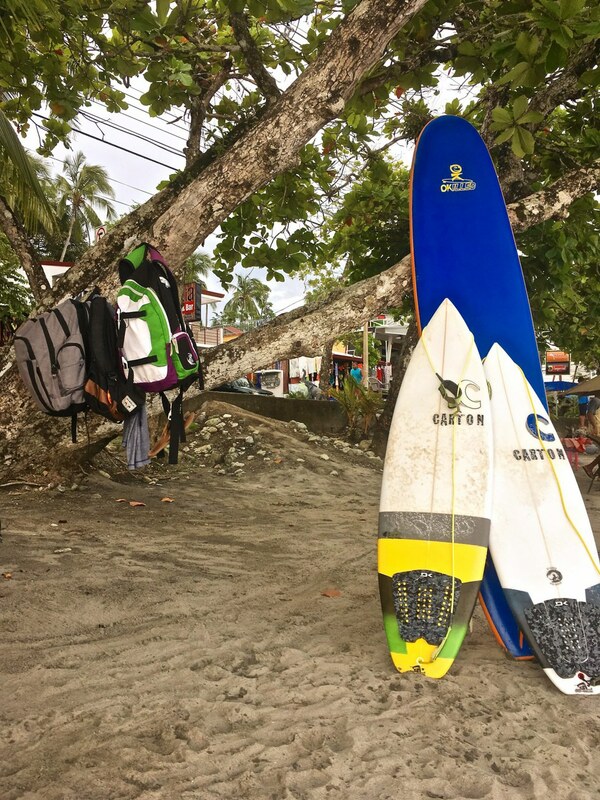 The surfing in Jaco is no joke, so if you don’t know how to surf, you might wanna leave it to the professionals, but the landscape is astounding and you have to see those waves for yourself as their power is so incredible. Now, while I’m not into doing tours or excursions there’s really no good way to experience this without the professionals and their equipment. I think it ran about $60 a person and they bus you up a million steep hills (that our bus couldn’t make it up by the way and we had to push it due to excessive rain,) and take you rafting down the river. They include lunch, snacks, and one of the coolest experiences of your life. The guides were all young and full of true love for their jobs as they talked about doing it even on their days off, they really have a passion for being on that water. 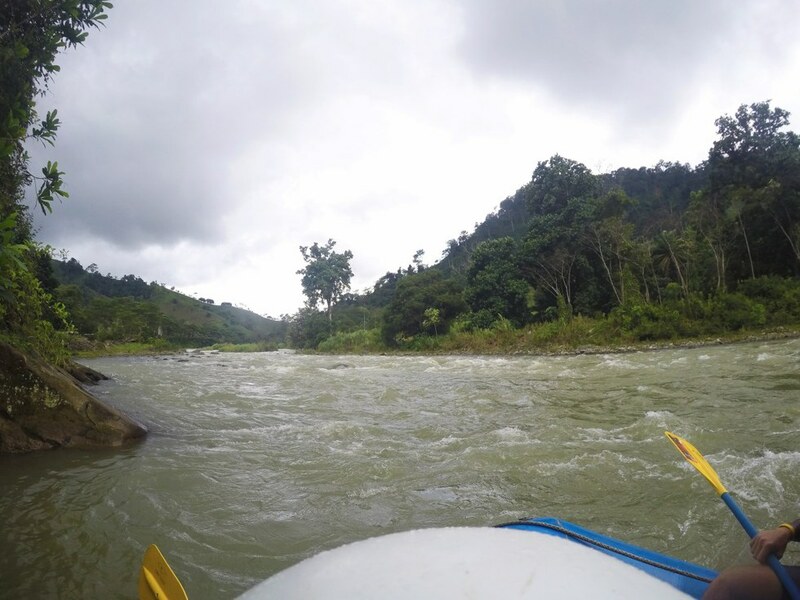 However, unlike rafting here in the states, you stopped every so often and got to experience huge waterfalls and were surrounded by the sounds and smells of the rainforest, with the occasional toucan or two. One of the most impressive parts about Manuel Antonio, and I think Costa Rica in general, were the people. I have never met so many kind and helpful beings in my travels. Everyone is there to serve and help each other in some way, and I never once came across a rude or introverted person in the “countryside” of Costa Rica. They want to help educate you about their area, because they are genuinely proud of it (who wouldn’t be proud of being so peaceful that your country doesn’t need any sort of military form?) Everyone is just trying to live simply and have the most rich life they can possibly have with the utmost opportunity for happiness.